Don’t you just hate it when all your TV shows go on that winter break and you are stuck wondering what to watch. There’s lots of new shows on offer this February and a few films too, so you can really mix it up a bit. If you’re just about to start on a slightly depressing Friends binge for the 99th time, hold on a minute! We have seven of the best films and TV shows coming to Netflix in February that are definitely worth more of your time. 1. 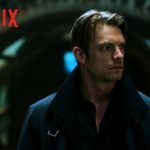 Altered Carbon This upcoming sci fi series gu..
With over 2 billion active Facebook users, the social media site created by Jesse Eisenberg Mark Zuckerberg, has become the place where an entire generation of people get their news and keep up to date with their favourite celebrities and sports stars. 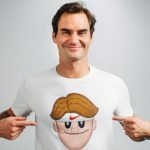 Every sports star has a Facebook page nowadays, unfortunately very much like Twitter, some sport stars only use their Facebook page to shill their latest merchandise. 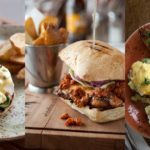 Well this list is going to steer you slightly away from that, as we here at The ..
Brunch has become the new eating trend in Ireland over the last few years, and why not? Who wouldn’t want to wake up late and have a sumptuous meal that combines both breakfast and lunch. Sometimes you can be too busy to even think about breakfast so a weekend brunch is the perfect opportunity to meet up with friends and eat well. Luckily for anyone in Dublin, there is an unbelievable number of choices, let’s dig in! 1. San Lorenzo’s One of Dublin’s busiest brunch spots. It serve..
A short-term answer. 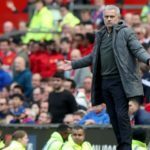 That was the phrase used wide and large by pundits, writers and fans alike when ‘The manager formerly known as the Special One’ was announced as the successor to Louis Van Gaal at Manchester United. Sir Alex Ferguson had departed. David Moyes had been pushed out while Louis Van Gaal was simply nudged off the winner’s podium in Wembley following his 2016 FA Cup win. José Mourinho’s arrival was another one of football’s very poorly kept secrets, a lot of which seem .. Looking for a great way to make your 2018 one of the best years yet. 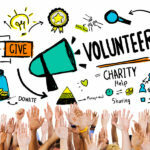 Then what better way to make a difference than by dedicating your spare time to help make the world a better place or help people and animals who may struggling. You never know how your actions may affect someone or something else. And the great thing about this is that it doesn’t have to be limited to Ireland, you can get involved from anywhere. Who knows? This may even be an idea for a late New Year’s resolution. The .. If there is one New Year’s resolution that you are guaranteed never to regret, it is looking after yourself and taking the time to maintain a healthy body and mind. We live in a world that is becoming increasingly pressurised and it’s easy to neglect our mental and physical wellbeing as a result. Thankfully there will be plenty of special events set up around the country this year that can help everyone to hone these skills. 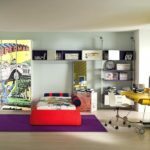 The events differ greatly to cater for everyone so there can be no ..
Everyone gets to that point where they just need a change in their life, so what better way than to design your bedroom whatever way you want. I have done this plenty of times and you should too! So here we go, 10 ways to improve your bedroom without breaking the bank! 1. Stylish Throw Pillows Whether you do your shopping on websites such as Wish or prefer to pop into Penneys or Ikea, throw pillows are a great way to add a bit of colour to your bedroom. You can choose from big comfy ones, pictur.. 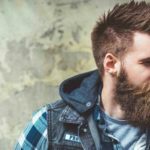 Growing a beard has strangely become a worldwide “trend” within the past five years. For something that is so easily obtained and literally grows on us, we are treating it like it is a new toy we have all gotten and want to showcase it to almost everyone. We’ve been questioning if the end is coming for 2 years now at The Sharpe (Will 2016 See The End Of The Beard? & Is 2017 Really The End Of The Beard?) so will 2018 be any different? 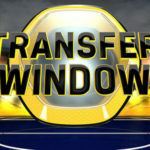 The Beginning It is not a coincidence that this..
Over the past couple of years, the January transfer window has lost some of its charm. Even Sky Sports don’t really seem to care that much about it until Deadline Day itself. However, the January transfer window can really change a side’s season for the better, or for the worse. A team can end up selling their best player to a rival club, Fernando Torres to Chelsea comes to mind here, but in fairness his best days were behind him! Or you could end up buying a player who completely transfo..
January can feel like a daunting month for some after the festivities of Christmas. So, to calm those January blues, we are bringing you a range of great Irish festivals this January. 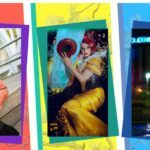 Whether you fancy some delicious vegan food, an afternoon of anime or music in the moonlight, there’s plenty of ways to kick off the new year with a bang. 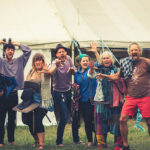 If you want to start your 2018 in style, be sure to try out some of these festivals over the next few weeks. 1. Akumakon Akumakon is an anime and manga co..